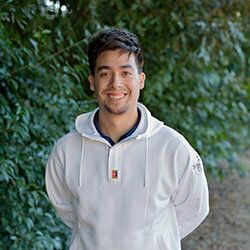 Derek moved to the Raleigh area from Long Island where he was an employee of Sportime Tennis Club for over a decade. He was one of many PTR-certified pros there, along with a Pro Shop attendant and Racket Stringer. Derek is always up-to-date on all things tennis not only for his own benefit, but also to provide knowledgeable advice for anyone seeking to improve their game. From finding the most comfortable (yet supportive) shoe, to choosing the string that best suits your play style and specs of your racket of choice, he will always be available to provide his most professional advice.